If I ever get there, I will look for that golfer windvane. Where are wind vanes made, Kathy ? Are there blacksmiths who forge them ? 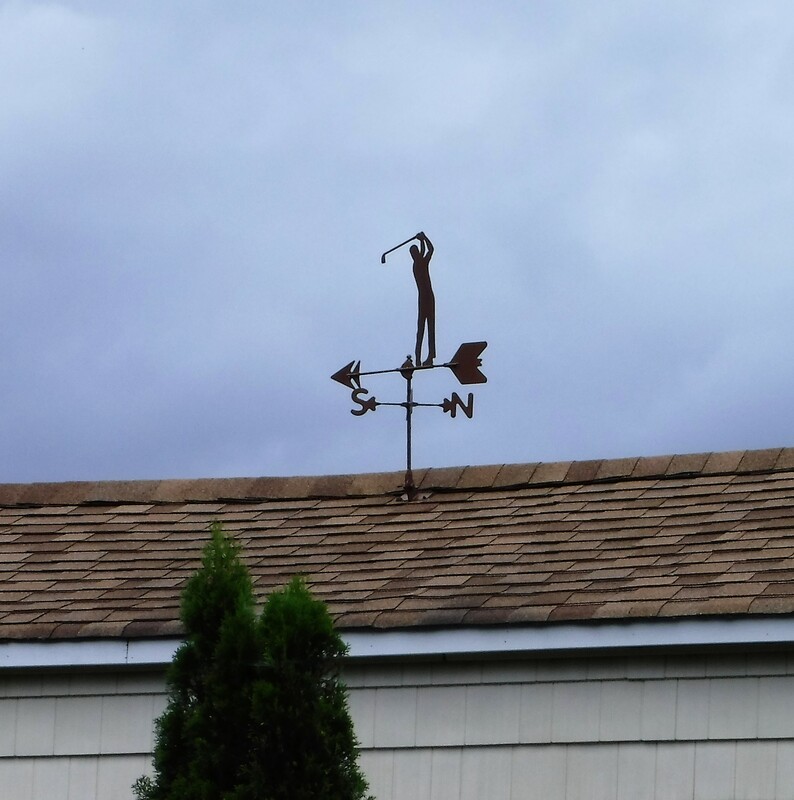 I have seen only one weather vane so far, and it was on the roof of a barn. I couldn’t get a decent picture of it, as it was in the middle of a field with no access. When I took a picture of it from the car window, it was just a blurry little line. I noticed that there are many windmills on the prairies for pumping water out of the ground, and other uses. Some have tails that I suspect act as a weather vane indicating the direction and force of the wind. I may do a post someday of the variety of windmills on the Saskatchewan prairies. It sounds like a good post Candice. I think weather vanes might be a coastal ornament. I see quite a few near the seashore. I like this one of the golfer.